Silence is the first thing most first-time passengers on an Antarctica cruise notice when they reach the mighty White Continent, yet it usually doesn’t take long for them to realize that what this awe-inspiring place lacks in human sounds, it more than makes up for in the roaring echoes of Mother Nature. With no distractions, no impediments and nothing to suppress the sheer volume and pitch of this very living landscape – and the multitude of creatures that inhabit it – the sounds of Antarctica are extraordinarily memorable. From the crackling of the ice shattering under the force of your ship, to the endless chatter of hundreds of feisty Emperor Penguin chicks; the ear-piercing trumpeting of the albatross and the deep guttural growling of fur seals fighting: the auditory sensory overload is one of the most underrated aspects of an Antarctica holiday at the end of the world. You expect to be amazed by vertiginous glaciers, you certainly expect to be overawed at the sight of a seemingly endless colony of penguins, but not many expect fluffy little flapping birds to make THAT much noise. Plus, there is the wind. There is always the wind. 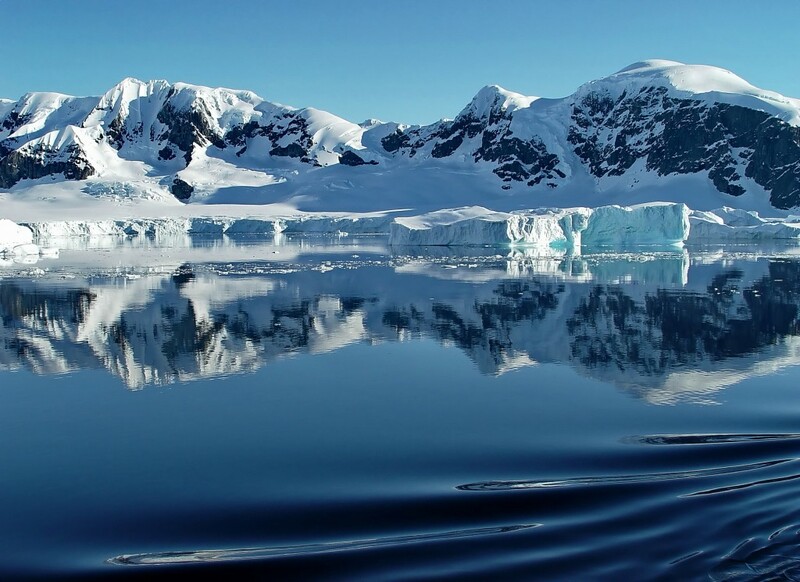 Ironically enough, the rare racket of Antarctica – one of the quietest places in the world – can be out of this world. And totally captivating. Like the thunderous sound of a thousand pins dropping in an insulated room, the sounds of Antarctica are magnified ten-fold, and much of this has to do with the fact that your eyes are perpetually cast on a frozen, sparkling white landscape that leaves you awestruck. As you sail through the ice on an Antarctica cruise, you’ll see an unforgiving and barren landscape. One of the most strikingly beautiful you’ll ever cast your eyes upon. This incongruence between what you witness and what you feel leaves most people here spellbound. Bewitched. It makes no sense that a place so insanely harsh can also be so outrageously gorgeous. In turn, it also seems impossible that a desolate and extreme world such as this, be brimming with wildlife. Not just any wildlife, mind you, but some of our planet’s most revered animals. They live here! But how?! You ask. How could they possibly survive? Why did they never migrate to…I don’t know…Barbados, perhaps? What an incredible life they have: one of struggles, of survival, of amazing evolution. In those times when you are surrounded by Antarctica wildlife, you’re left with the distinct impression that each and every creature here screams for attention. Yet more often than not, between the avalanches tumbling to the sea, the creaking sound of ice beneath your feet, the gawking of the birds and the almighty roar of a chunk of glacier breaking off, what you experience on an Antarctica cruise, is pristine silence. True silence. The kind of silence you’ll hear nowhere else but there. Not in a forest brimming with birds, or a jungle bursting with boisterous monkeys, not even on a yacht anchored in a protected cove of some uninhabited island. Because just as soon as you realize how noisy Antarctica can be, you also realize that along with all the fracas, something is amiss. It’s not silence we crave, perhaps, not silence absolute. But silence from man. Imagine the most remote parts of Canada or Alaska; in the heart of the Sahara Desert or the depths of Siberia, and what you find are desolate places whose silence is perpetually broken by human existence of some sort. Sounds of overhead planes, of distant highways and railway tracks that hum and buzz continually in your ears. But you never realize this. Not until your cruise to Antarctica and, all of a sudden, that persistent humming is simply gone. It’s the moments of pure calmness here, and the resounding silence, that make this a very addictive place to visit. Many claim an Antarctica holiday has the ability to change you as a person. Scientists, researchers, explorers and even tourists: many feel an incredible urge to come back here, time and again. Almost all claim that it’s the silence and lack of modernity that make Antarctica a most enticing destination. Because the sounds here are sounds of nature, of animals, of life. And nature, compared to man, sounds melodic and soothing. True soul-reviving relaxation, as it turns out, comes not from complete and utter silence – as those few who have truly experienced silence report it being unnerving – but rather, from being surrounded by the sounds of nature. Countless researches have proven that being immersed in nature resets our mind and bodies, and that the beautiful sounds of nature impact our wellbeing in a very beneficial way. The sound of silence from man, and those of life from nature are, without doubt, two of the most soul-reviving things you can experience in Antarctica. 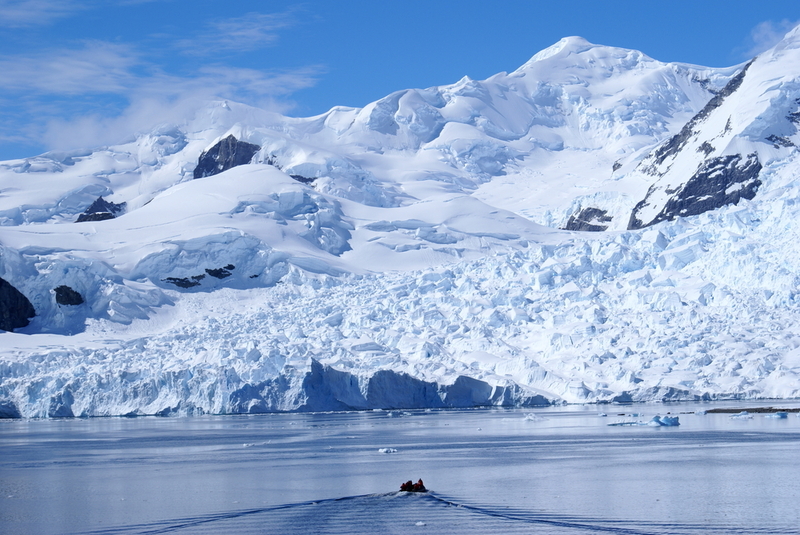 Itching to set sail with us on an Antarctica cruise this year and discover the world’s last truly flawless corner? Then join us on an unforgettable journey to the end of the world, and if you don’t come home a changed person, after hearing the sounds our planet makes when she is at her most silent… you can always try it again next year.